Following the decision at the recent WASZP European Championships the class has announced to adoption of a new, larger foil. The foil change is to make the boat better in marginal conditions as well as making manoeuvres more accessible to make the racing tighter and offer more passing lanes. After two years in production the WASZP class has grown to a worldwide class with over 700 boats in 42 countries. During a four month testing period the results have been outstanding. Downwind the glide time allows much more stable foil gybing platform, this allows mid-fleet competitors to build their skills faster and a more enjoyable overall experience. Similar performance albeit different technique downwind in waves. February 1st is when the foil change-over will begin implementation, with the first foils reaching customers in late February/early March 2019. There is a 6 month period between the International WASZP Games in Perth and the European Championships in Malcesine. 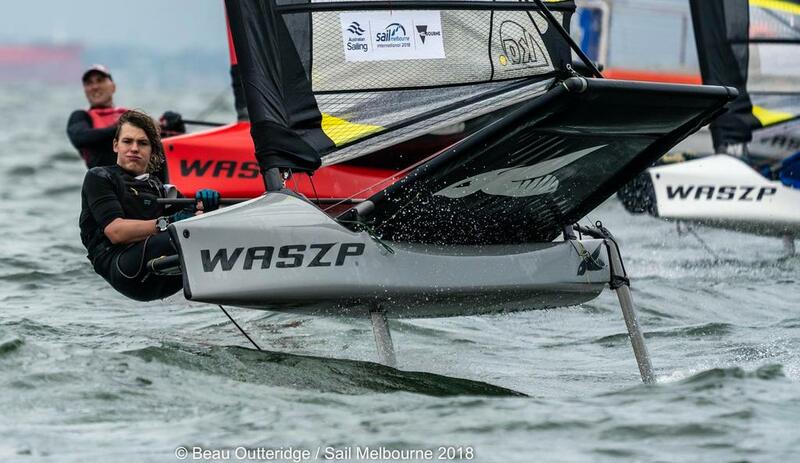 The WASZP European Championships will be the first official event on the new foil, however some markets may decide that they would like to run their events on the big foil before then. These foils will be sold at 33% discount for all existing WASZP Owners, if a customer has bought a new boat or a new foil from 1 August onwards they will be credited a new foil if they can get the foil back to the manufacturer for assessment. New Foil for existing WASZP Owners is $AUD537.20 + GST minus 33% giving a $AUD359.92 (£203) +tax discounted price.